Coca-Cola Amatil (CCA) has showcased its latest innovation in a case-study at Microsoft’s Internet of Your Things event. CCA looked at new ways to differentiate the Coca-Cola brand. For affordable, wide scale deployment, the company needed to work with existing assets such as beverage coolers in stores and shopping malls. CCA took advantage of the unused space on coolers by adding digital signage to create a personalised, engaging experience. And for maximum impact, the company needed a flexible platform that could be easily-customised for different locations and work with multiple data sources, applications, and devices, including point-of-sale systems in stores, analytics software, social media sites, and mobile phones. 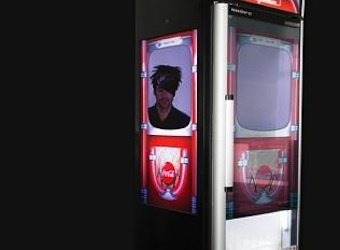 In collaboration with global creative agency TKM9, CCA the company used interactive digital signage installed on beverage coolers to collect data on sales and consumer interaction, and share content with customers at the point of sale – such as discount offers and weather reports. With the device, CCA is also able to draw consumers into an interactive multimedia and social-media experience, via the coolers and the consumers’ own devices, offering games, contests, Facebook posts and more. As a result, CCA is building sales along with customer relationships that extend past the point of the original purchase. “These interactive coolers based on Microsoft technology are a great way to represent your brand right at the point of purchase,” says Port. “If it engages people enough that they reach in and buy that Coke it helps increase sales. But at the same time, it’s terrific for us that we’ve had a positive experience with the consumer,” he says.